Today I’m thankful to be a Happy Runner again! 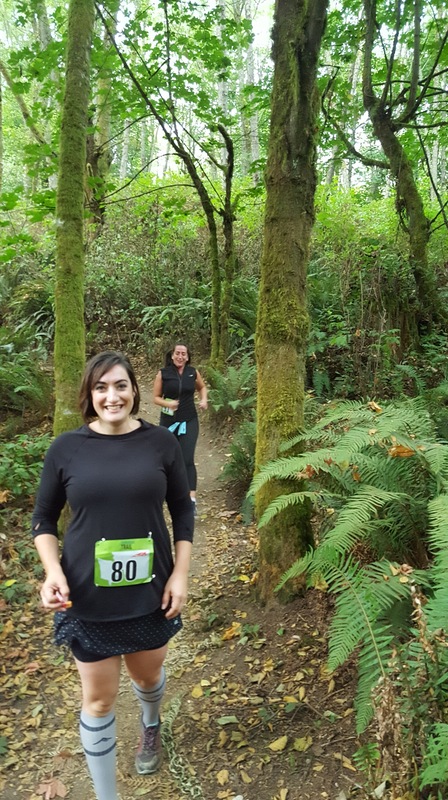 I ran a 10K Trail Race a few weekends ago, and you know what….it felt pretty great! 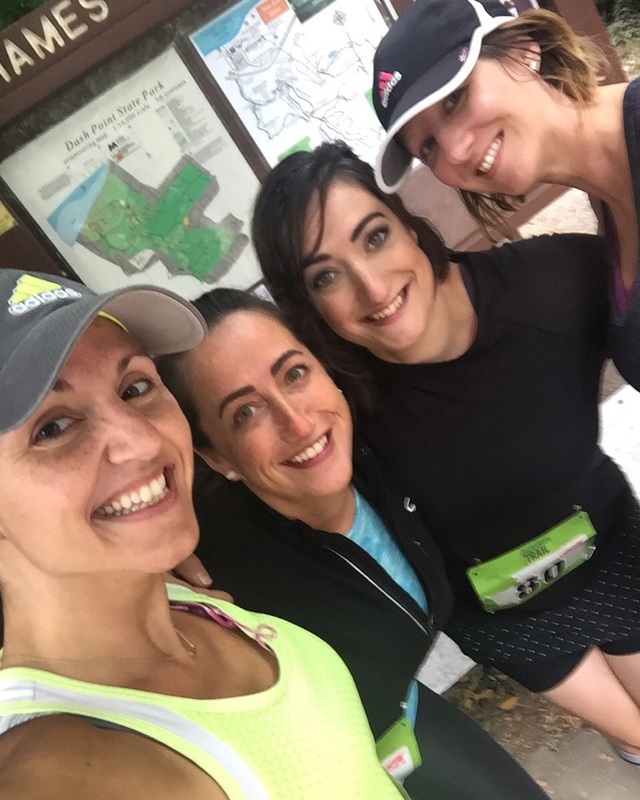 Now, that’s not to say it was easy, because it’s not an easy race, but it is one of my favorites, and I was doing it with some of my favorite people. 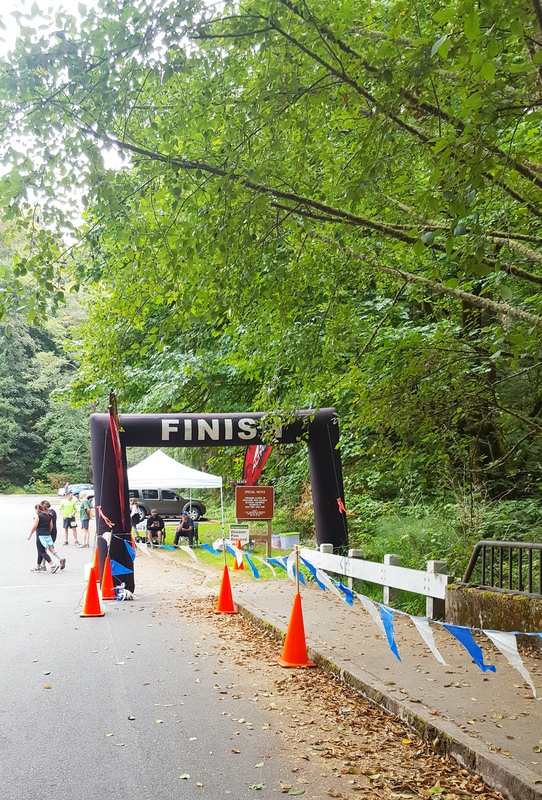 Seriously if you are local to the Tacoma area check out Evergreen Trail Runs specifically the Dash Point March & Sep races. One of my favorite courses ever! Barbie arms! Thanks for the pic Michelle! For a while now (like the last few years…yikes) running has been stressful between dealing with lingering car accident issues, and dealing with a knee injury/surgery from HS. I was starting to feel like running was going to be over for me. The car accident stuff is what it is and I can deal with it, but my knee that’s another story, and the two issues combined…forget about it. The constant pain was really starting to get to me, and it was keeping me from running the way I’d like. Michelle, Ella, Elya and Me…thanks again for the pic Michelle. Enter a visit to an Ortho Surgeon…who after an x-ray and exam recommend PT. Now, I will admit I had a cruddy attitude about PT. It’s not what I wanted to do, I really just wanted an MRI to assure I wasn’t doing damage, but turns out Ortho Surgeons are pretty smart, and sending me to PT was exactly what I needed. 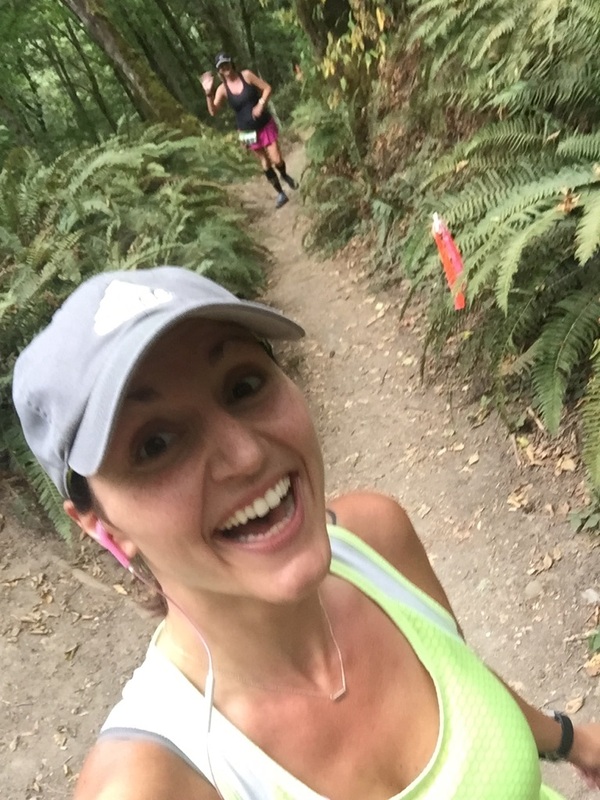 I have learned so much about how my knee and body are (or aren’t) working, what to change to make every day, non-running, life knee-pain free, and what to do while running to limit the wear, tear, and pain in my knee. I still don’t love the time or money commitment to PT, but every visit I’m so happy with how things are going, and the things I’m learning to assure I’m treating my knee (and body) the best I can to keep everything functioning for years to come. My first visit to PT I was asked what my goal was and my #1 goal was/is to be able to run pain free, and sign up for any race I want to without having to consider if my knee can handle it or not. And, I’m getting there! Most runs are pain free now, and if the knee does start to hurt it’s because I’ve gotten lazy and let the form/muscle control go. A quick re-focus and reactivation of certain muscles and the pain is instantly gone! It feels so good to run and not be worried the entire time. 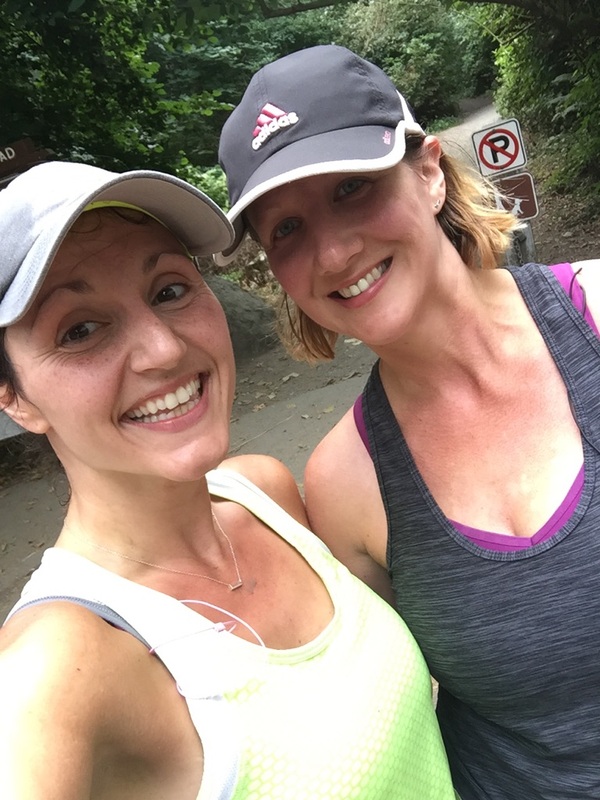 Sisters who run together…have a really good time! Even though running is going so much better I’m still sticking to trail running only. Long term I just feel like it’s a better option for my body, plus I’d much rather run through the trees than past cars on the road. Trail runner at heart over here!